Madeline is literally allergic to the world. She's confined to her hyper-sterile house with her loving mother and her nurse Carla. She works very hard not to want more, not to press her head against the window and dream of being outside, of meeting other people. This all falls apart when a new family move in next door and a boy her age, named Olly, refuses to let her ignore him. 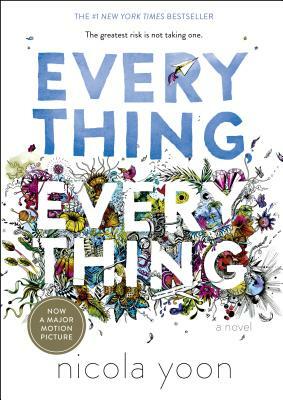 Everything Everything is a clever romance with an ending that's an eye-opener for the characters, but also for readers. A book about, love, danger and freedom that kids and adults should all read.